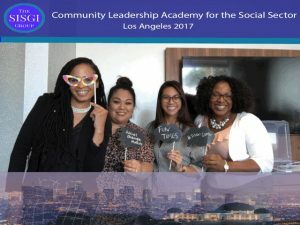 Last week The SISGI Group initiated the newest cohort of our Community Leadership Academy for the Social Sector (CLASS)! CLASS is an initiative that supports nonprofit professionals as they design a project to address an issue in their community. Although this program is a one year virtual experience, the kick off is a one day in-person meeting to establish community between leadership academy staff and CLASS Fellows as well as set a strong foundation for the learning that will occur throughout the following months.